Save time on business reports and focus on what matters the most. Connect your business reporting tools and POS technology to access meaningful reports and data. Manage it all in minutes from the palm of your hand and see profits skyrocket! Get started for free today. Thousands of retailers choose Hubworks as their business management platform. No need to pull out your hairs because of wasted time or frustration. With Hubworks, you don’t have to manually dig through data just to get an understanding of your business’s performance. Everything you need is in one place, and you can easily find the information you need in a way that makes sense. Make smarter business decisions with real-time access to all your data and reports. Whether it's time and attendance, business tasks, inventory management or point of sale, your business management apps are available anytime on your favorite device. Hubworks scheduling, time-keeping, and forecasting apps make it quick and easy for your to create schedules and monitor them. Never worry about over or under allocation of time, and ensure your hourly team members follow important labor laws. 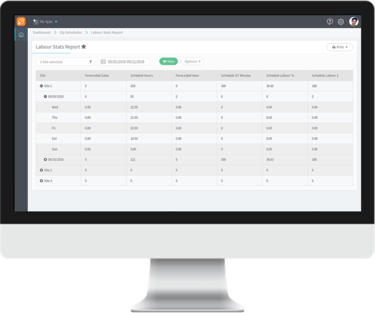 Accurate forecast helps you better manage labor by identifying staffing needs at various dayparts. Hubworks provides the latest in business forecasting technology. You'll have a better idea of what sales and transactions will look like in the future and can staff accordingly while also making sure you have the right amount of inventory on hand. 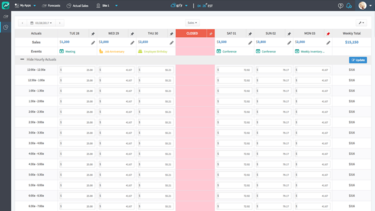 Hubworks reporting tools allow you to receive your POS data in real-time, and gives you data in a way that is meaningful and valuable for your business management needs. You never have to worry about inaccurate information or using other apps to pull data from your Point-of-Sale system. The Hubworks business intelligence and reporting platforms provide much-needed insight to save time and money. Don't leave important business decisions to chance and sign up for a free trial of any business management app. Access any Hubworks business management app for your convenience store on your desktop, tablet or mobile device. Always have the right business data on hand to take immediate action when and where it's needed. 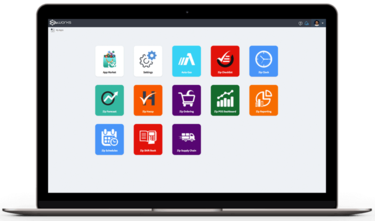 Try any Hubworks business management app free for at least 14 days to see how much time and money you can save by having better processes in place. Make sure your business tools set you up for success.